Labels are funny. Some we embrace and some we avoid. I find myself resistant to accepting new labels. I’m cautious about the changes in expectations…expectations of others…and of myself. As I’ve posted before, I am not a horseman…and definitely not a cowboy. It’s not that I object to the idea. It’s that I lack both the skills and the experience. I like horses. I enjoy caring for them. I enjoy riding horseback. But I shrink back from giving the impression I know about horses, because I know just enough to be very aware of how much I don’t know. For the last two years I’ve hauled my stepson and his horse to every available roping practice. I’ve attended numerous rodeo events where I’ve helped ready his horse and cheered him on. For the last two years I’ve spent as much time in the saddle as I could, trying to learn a little more about this whole horsemanship thing. And for the past several weeks, I’ve hauled both our horses to weekly roping practices, so I could start to learn a little about this sport my kid is so into. Yet, I still do not think of myself as a cowboy or even a horseman. Rodeo is such a cultural thing…usually a multigenerational cultural thing. And it is not the culture I grew up in. I love the people. I’m learning to like the sport. Yet, I still feel like such an outsider…not that folks aren’t friendly and helpful…they are. But because I am so aware of how little I know and what a novice I am. This year we signed our young rodeo athlete up with another rodeo association. That commits us to attend rodeos almost every weekend for the next nine months…and half of those are doubles…two rodeos in one weekend…an all-day rodeo on Saturday followed by an all-day rodeo on Sunday. 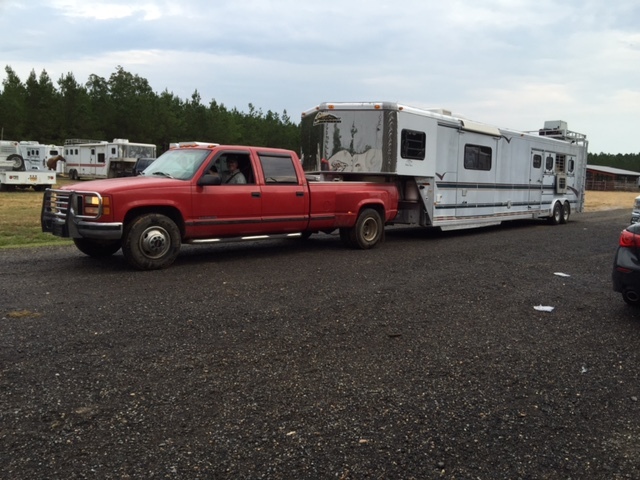 So, now we’ve purchased a living-quarters horse trailer to facilitate all these weekend-long rodeo events. 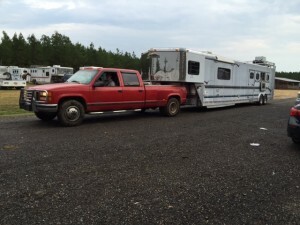 Basically, that’s a full-sized RV for the family plus horses and equipment. This weekend it hit me. I have officially become one of those crazy rodeo people who spends all their free time (and money) camping out to attend rodeos. Yeah…that’s me. I am officially a Rodeo Dad. It’s become a part of who I am. 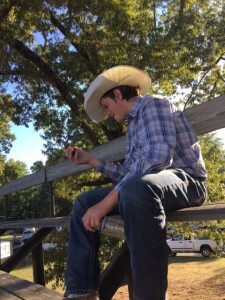 Still not a cowboy…still not a horseman…but very much a Rodeo Dad. Have you ever picked up a new label that felt uncomfortable at first? 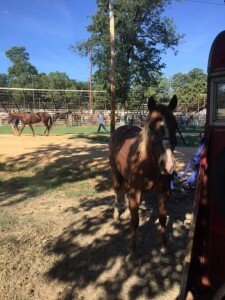 This entry was posted in Horses, Parenting and tagged cowboy, horse, parenting, rodeo, roping by joe. Bookmark the permalink.